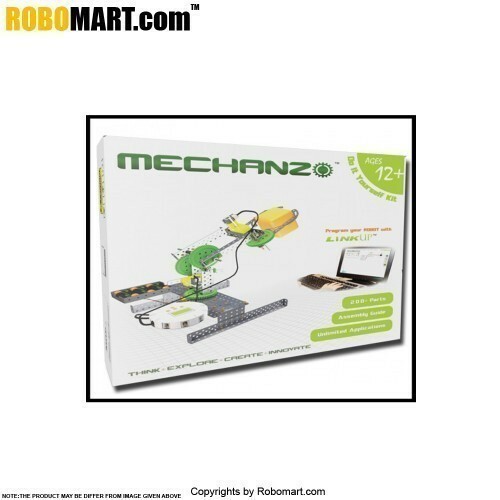 Contains 200+ parts such as Control Card, sensors, metallic strips, motors, gears etc. Associated Concepts of Science and Math mentioned with every design. Developed based on STEM concepts after thorough research by Engineers under the guidance of distinguished teachers. Assembly guide & help file with step by step instruction is integrated in LinkUp. Working on this student turns up to be more creative, intend towards technology develop good IQ. Step by Step HTML help guide for beginners. Easy interface with hardware through USB. Support with Windows Xp and above. No dependency on Java heavy weight & .net software frame work. Debugging and error detection at programming level. All in one Installer (no addition download required) all extra software included with installer.